We’re going behind the scenes of Outlander North Carolina! Who are we? 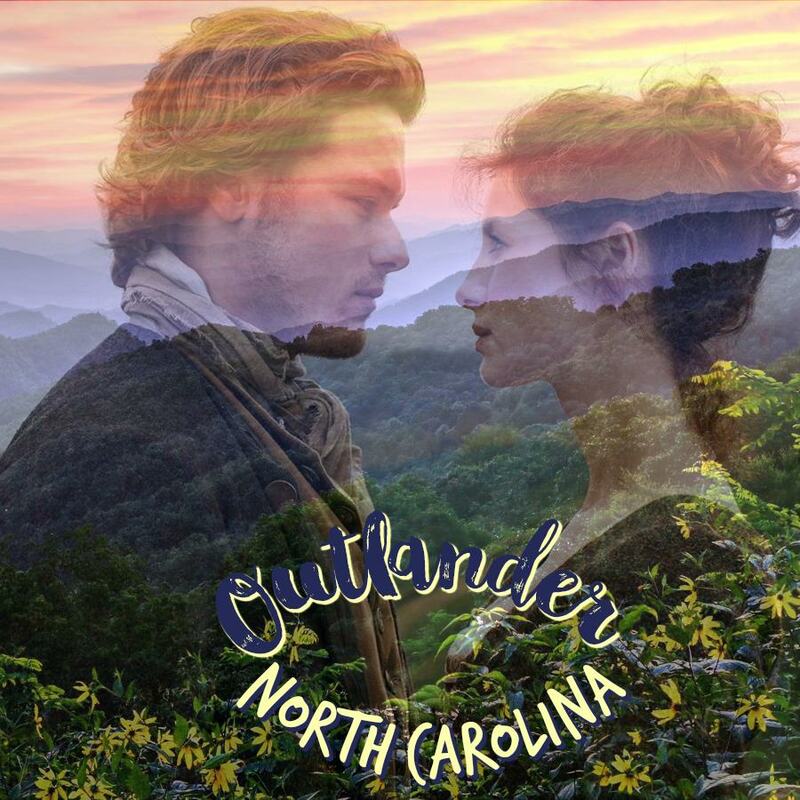 What’s our connection to North Carolina and Outlander? Who and what makes things tick around here? What keeps us going through the Droughtlander? What are the Outlander stories of other obsessed fans? Over the next several weeks, I’ll be answering those questions by occasionally posting interviews with our administrators and some of our Facebook members and blog subscribers! I’m looking forward to this series and hope you will be comforted to read how others deal with their obsession to our favorite books and TV series. Consider these interviews our way of providing group therapy for the seriously addicted Outlander fan! Our first interview is with Susan Jackson. Susan was the very first administrator to join me at Outlander North Carolina. Her wisdom, advice and encouragement have been invaluable to me! She has also written two articles for ONC. So, without further ado, let’s meet Susan! Hey Susan! Let’s start by telling us a little about yourself. I am a mother of four who lives in coastal North Carolina, and I’m an avid Outlander fan. Besides reading, I love cooking and baking, and music. I am a thyroid cancer survivor and have worked in education most of my life. I hope to one day blog about my thyroid cancer journey. I started reading the first book in 2014 before the TV series started when a friend recommended it to pass the time while in thyroid cancer treatment isolation. I was hooked once Claire went through the stones. I gobbled up every book after that, and it helped pass the time during the healing process. First and foremost, Claire and Jamie’s relationship, but I love historical fiction, and a well-researched story takes you back in time anyway, so the extra time travel aspect is fascinating to think about. I’ve read all eight, as well as some of the novellas and the graphic novel. I loved The Scottish Prisoner, and the short story Virgins. It’s hard to choose! DOA is probably my very favorite, though. I can understand completely Jamie’s falling in love with the North Carolina mountains. Another tough decision—but I have to say that I’m going to sound like a bit of a prude, but The Wedding was so awkward for me to watch (and read in the books)! I felt like I was a peeping Tom on some friends. LOL! But I loved Rent from Season 1–the scenery was amazing, and A. Malcolm from Season 3. The Paris episodes from season 2 were a feast for the eyes with all the amazing costumes. I know changes have to be made, and I’m fine (mostly) with things that have been done so far. I didn’t like that they didn’t have Jamie and Claire mark each other with the scars before she went back through, and I wanted Claire to remain ignorant of William. And, as much as I love the show’s version of Murtagh, I feel like that’s a change that is going to be weird for me. I hope that’s not a spoiler, since we saw him get sent to the Colonies with the other prisoners. I love book and TV Mrs. Fitz—she’s a caregiver like me, running around making sure everything and everyone is taken care of, with full bellies and clean clothes. But I can’t say that I have an absolute favorite character. I’m going to get tarred and feathered for saying this, but Claire gets on my nerves a lot! I can’t call specific situations, but there are times I just roll my eyes and move on. I really disliked Dougal McKenzie—he was a jerk, and used whoever he could to get his way. Seeing how well Scotland substitutes for our beautiful mountains. I am always dreaming of being in the mountains, so for this season not to be filmed here but look like North Carolina, well, we’ll just see about that. A father and daughter meeting behind a pub. I’ve been reading NC history for many years, so I was aware of a lot of battles and people and how the state began. I was surprised to learn about the standing stones at Ocracoke Island, and since that isn’t far from me, I’ll have to pay them a visit. Edenton is a town I visit frequently, because it’s close. I adore the Boone area. I’ve been to Tryon Palace, and I’ve been to Fayetteville (formerly known as Cross Creek & Campbellton) many times. Somerset Plantation isn’t necessarily in the books, but I imagine it when I think of Jocasta’s home. If a friend was coming to North Carolina and they could only visit one place, where would you tell them to go and why? Edenton—so much original colonial architecture, and it’s full of history as well as historical places. What are you watching and/or reading to survive during the Droughtlander? I re-read the Outlander books, and love biographies. I watch Downton Abbey reruns, the Outlander shows, and Call the Midwife. Whenever I am reading/listening to the books, I find myself thinking about what Claire would do in situations I’m in. When I was first reading the books, I would actually wake up in the mornings and wonder what Claire and Jamie would be doing–as if they weren’t fictional, and we were in some sort of parallel universe. I thought I was nuts. Then I found other fans online and a couple of groups on Facebook and realized I wasn’t nuts. Not completely, anyway. Susan is a contributing author for Outlander North Carolina and has previously written about the infamous Stede Bonnet in “Will The Real Stephen Bonnet Please Stand Up?” and “Favorite Scene Friday – Episode 304, Of Lost Things”. Susan is also working on a series of articles about the colonial town of Edenton. The Edenton series will be part of our summer and fall series on the real people and places of Outlander in North Carolina.